Techstars, one of the most recognized accelerators in the world, is expanding its US footprint into the already lively Kansas City startup community. Earlier this year Techstars co-founder and Foundry Group founder Brad Feld bought a house in Kansas City to house a startup to work on their company, utilizing KC’s 1gb ethernet. Kansas City was the second city in the country, behind Chattanooga, to offer 1gb ethernet to residences and businesses. But it wasn’t Kansas City’s Google Fiber that attracted Techstars to the region. They’ve partnered with Kansas City’s biggest tech company, Sprint, the third largest wireless carrier in the country. Sprint has always been a friend to innovation. They were the first wireless carrier to hold an annual developer summit for developers to collaborate, and learn about developing on Sprint’s wide range of services. Sprint and Techstars are centering this accelerator around the growing mobile health segment. Monitoring devices, e-prescriptions, mobile EDR’s and other health based mobile technology startups will work in the three month Techstars-modeled accelerator format at the new accelerator. “We have been watching Kansas City from afar, seeing it come together, and now we’re excited to join the community and help it grow. It’s great to see Sprint giving first through their tremendous network of resources and executive knowledge. It makes all the difference for the companies we fund through the program,” Techstars co-founder David Cohen said on the official Techstars blog. Kevin McGinnis, Sprint’s Vice President of Development, will help oversee the program which is taking applications now through December 6th. Startups that are selected will be notified in early January 2014 and the first session will kick off in March. It’s Fashion Week in New York, and while New Yorkh is growing as a hub of technology, it’s all about fashion throughout Manhattan and the surrounding areas. Tens of thousands of designers (the fashion type), stylists, and others in the fashion industry make a pilgrimage to New York to show off the latest trends for the spring season. 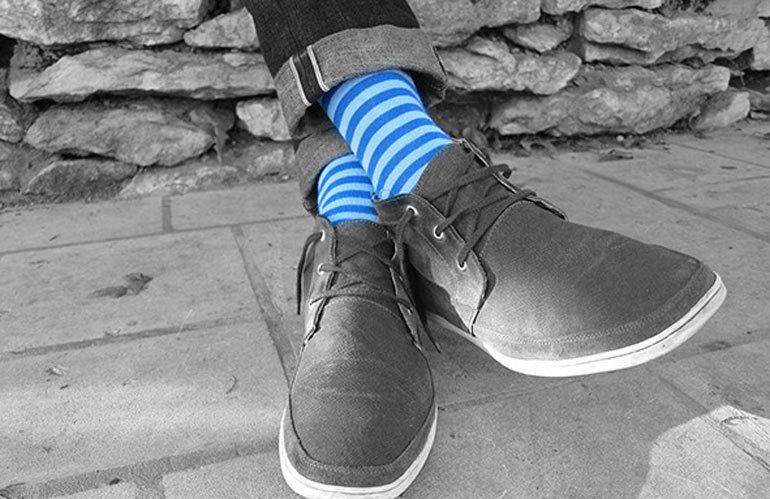 One of the companies making the trek out to New York this year was Kansas City startup Trellie. This tech startup makes a fashion accessory that attaches to a woman’s purse and lights up to alert the owner when a call is coming in or they’ve missed a call. Because women keep their phones in their purses, they can miss calls because they can’t hear the phone ring or feel it vibrate. This device gives them a subtle way to know when there is a call coming. It’s been a great month for Trellie, the startup closed a $900,000 seed round last month and with this showcasing at Fashion Week they were also featured in the nationally syndicated Parade Magazine. The multi-faceted startup support organization, Think Big Partners in Kansas City is preparing for demo day for their accelerator program companies and other midwestern startups from across the Silicon Prairie area. ThinkBig is graduating their second cohort, but this is their first demo day. This week, ThinkBig Parters is hosting a two day “PitchKamp,” which will be taught by the ThinkBig Partners and help prepare the teams pitching on the 28th for demo day in front of investors and media. Here are the ThinkBig Accelerator startups pitching at demo day. Fully: Fully is a kiosk-based mobile phone charging station that provides digital out-of-home targeted advertising to the consumer. Kahootz: Kahootz is a consumer-focused online calendar platform that provides users with easier ways to combine, share and manage all obligations and profiles on one easy-to-maintain social-based platform. Keyzio: Keyzio is a consumer-driven marketplace that connects people and helps them find, buy and sell real estate. Phone2Action: Phone2Action makes a digital take action advocacy platform to power organizations and individuals to make change happen. WeeJay: Weejay is a rewards-based social jukebox for bars, restaurants, and other businesses. Here are the other regional startups pitching as part of the demo day festivities. Katasi: Katasi provides an effective technological solution to the growing epidemic of texting while driving through partnerships with telecom providers. Moblico: Moblico’s mobile engagement platform uniquely combines cloud based backend services for app developers with content, communication and loyalty management tools for application marketers. PlanetReuse/InvenQuery: PlanetReuse is a consulting and brokering company focused on matching reclaimed building material with designers, builders and owners. 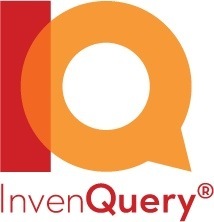 InvenQuery provides technology to help retailers of unique merchandise handle inventory, point-of-sale and ecommerce. If you’re in the area and want to attend demo day you can register here. 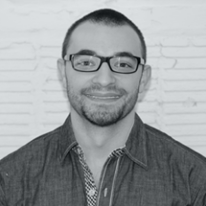 Blake Miller, the Managing Director of ThinkBig Accelerator is speaking at Everywhere Else Cincinnati, September 30th. A few discounted tickets and discounted startup village booths are still available here. Food trucks are becoming popular in cities across the nation. Hot food–often gourmet–out of a truck? What’s not to love? Well, for one thing, you can never find them. Seriously, never. No matter how closely you watch Twitter or Facebook, you always seem to just miss the truck you’re craving. That’s what happened to Truckily cofounders Derek Kean and Matthew Berkland on a trip to San Francisco. Their frustration with downloading several apps, watching trucks drive by, and STILL not being in the right place at the right time led them to dream up a one-app stop for food trucks and their fans. Enter Truckily. For $30 a month, trucks can use the service to update their location just once. Then, the new location appears on the Truckily map, Twitter, Facebook, and Foursquare. The app is free for users, and when they open it up, they see a map of where all the food trucks are parked. We talked with Truckily back in September. They were fresh from their time with the ARK Challenge and credited that experience with the ability to focus on the business and make important connections. At that point, their next step was to raise funding to continue building their product. Now, according to Silicon Prairie News, they’ve done it. 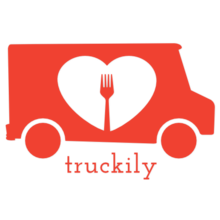 This month Truckily closed a seed round of $120,000. The round includes Gravity Ventures and Kea Ventures. The money is technically invested in RTF Logic, but the founders will use it to build out the Truckily platform. Cofounder Derek Kean gave Silicon Prairie News a hint about what they’ll do with their new funding. Once our team is comfortable with our progress, we will begin expanding the platform into other areas that are currently identified, while keeping our ears open for markets that are open for growth. We are ramping up our efforts once we iron out any remaining ‘face-palm’ errors. When Truckily launched its public beta for iOS in April, they focused on the Midwest. According to their blog, they are also seeking to expand into the Minneapolis/St. Paul area. They hope to be available for Android by the end of the summer. You can check Truckily on their website. One of the big benefits to growing your startup in Kansas City is the proximity to the Kauffman Foundation. The group is constantly backing, helping, and innovating in the startup community space. Kansas City often gets the earliest access to the Foundation’s newest programs like 1 Million Cups. Now, our friends at Silicon Prairie News are reporting that KC is about to see a new one day seminar/conference program geared towards teenagers. William Robison, a Kansas City-based self proclaimed “Solopreneur,” came up with the idea for Teen Idea Labs when his own kids started asking questions about owning and starting their own businesses. Robison took the idea to Kauffman Foundation’s Nate Olson, and now the all-day program becomes a reality. 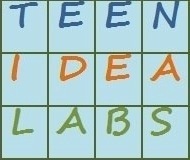 The first Teen Idea Labs will be held at the Kauffman Labs next Wednesday, June 12th and will kick off with the teenage attendees taking part in that morning’s 1 Million Cups meet-up. Interested teenpreneurs and innovators can find out more at Silicon Prairie. They can register free here at eventbrite. If you’ve always wanted to start an investment portfolio, but getting thousands of dollars together was out of reach, than you’re in luck. A new Kansas City startup, TreeSwing, is releasing a mobile app that will allow investors to start investing in mutual funds with as little as $1. If the company takes off, TreeSwing will open up a new world of investing to people across the country, with no brokerage fees, no minimum balances, and no required monthly investment, investors can contribute any amount they’re comfortable with. TreeSwing will allow investors to select from a marketplace of professionally managed mutual funds offered by some of the top names in the industry. By keeping the marketplace purposefully small, using plain language, and providing independent data from Morningstar, TreeSwing aims to give investors an easy way to make informed choices. According to Brian Smith , Design and Product Manager for the TreeSwing application, the app was created specifically to serve the millions of Americans who aren’t currently investing. “I believe we’ve built something that will lower the financial, behavioral, and emotional barriers to the investment process,” said Smith. We ran into TreeSwing a bunch of times while in Austin for South By Southwest. Their entire team was at the TechCocktail celebration of startups event at The Stage on Sixth, talking to people about their new way of investing. We finally caught up with Smith at the SXSW trade show who took a little time to explain TreeSwing in the video below. While crowfunding is gaining world wide popularity, TreeSwing offers an option for people who want to get their feet with with investing, at a much lower risk and barrier to entry. A startup pitch event that the Kauffman Foundation created this spring, is going global. The Ewing Marion Kauffman Foundation has been driving startups through global events by participating heavily with Startup Weekend, Startup America and sponsoring many startup and entrepreneurial events across the globe. 1 Million Cups is an informal weekly meetup, that until now, only occurred at Kauffman’s Kansas City headquarters. Each Wednesday morning two startups get to pitch a group of their peers over coffee. The Kauffman Foundation has already seen 64 pitches during the first 35 meetings. 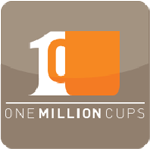 Last month, during Global Entrepreneurship Week, Des Moines Iowa became the second city to host 1 Million Cups events. Nate Olson, a Kauffman Foundation analyst, and the 1 Million Cups coordinator hopes to add 20 more cities by the end of 2013. 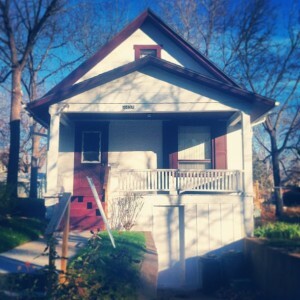 In Q1 2013 the foundation plans to bring Cedar Rapids IA, Omaha Neb, Lincoln Neb, and possibly Columbia MO online as well. “We are expanding from the interior of the country outward, so don’t look for us on the coast just yet” Kauffman Foundation Vice President Thom Ruhe said in an email to the Kansas City Business Journal. Rhue hinted that bigger startup hubs, like Silicon Valley, are more “entrepreneurially aware”. The Kansas City meetups host 120 people each week, from the tech sector. They’re attracting entrepreneurs, wantrerpreneurs, outside advisers and others. To continue their expansion the Kauffman Foundation is seeking out entrepreneurs in other cities that can host the weekly pitch events and of course provide free coffee. The biggest startup conference in the US can be found by clicking here. Over the past few years, reuse has become. $250 million dollar industry. In the United States there are over 1200 reuse stores. Reuse stores, like the Habitat for Humanity Re-Store, sell used or overstocked building supplies, and household goods at a huge discount to get these items out of landfills and repurposed for other projects. Reuse stores sell anything from wooden wall paneling to electrical outlets and everything on between. Yes, reuse stores also sell kitchen sinks. InvenQuery, an offshoot from Kansas City startup, PlanetReuse. PlanetReuse, as you can probably tell by the name, is also in the reuse industry. InvenQuery offers web, and mobile solutions for inventory and store management for the reuse industry. The startup reported last week, that they have raised $1.1 million dollars this year. 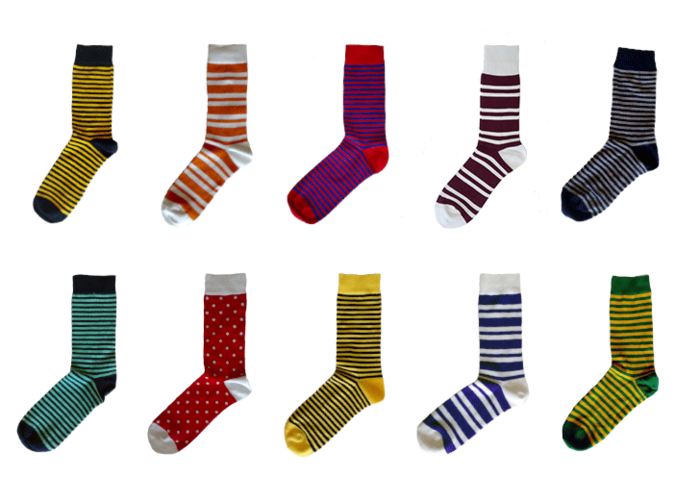 Earlier in the year the company raised $450,000 in an angel round. They recently closed a $650,000 series A round for Dundee Venture Capital of Omaha Nebraska. The idea is simple and the results could be revolutionary: millions more pounds of usable surplus materials kept out of local landfills. A stark contrast to the nearly 40% of U.S. landfill waste that comes from building construction and demolition waste today. 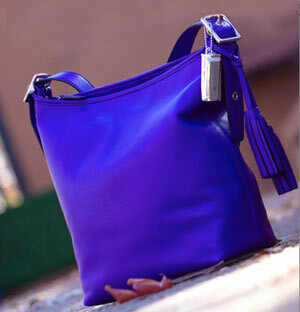 Plus more profits are generated for the social missions of non-profit reuse centers. If HDTV, Pinterest and the $250 Billion per year Lifestyles of Health and Sustainability (Lohas) U.S. consumer segment are any indication, reuse is one trend that will last. 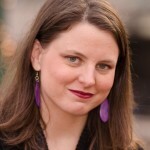 “As more and more reuse centers use InvenQuery to showcase their inventory live online on PlanetReuse Marketplace, the $250 Million reuse industry will become more top-of-mind and ultimately an easy alternative to explore before buying new materials through the $110 Billion new material home improvement industry,” said InvenQuery partner Willow Lundgren.